Some workshops require a minimum number of participants to go ahead. If you are interested in attending any of the planned workshops below, please click the relevant link to send us an email with your name and contact details. When enough interest in a particular workshop has been received, we will contact everyone to arrange an agreeable date! Being able to reliably recall your dog at any given time is very important. Recall training is about being a responsible dog owner, even if your dog is not yet let off the lead. Apart from 'selective hearing', there are several reasons why dogs don't come when called. The most important reason for developing a reliable recall is for the safety of you, your dog and others around you. This recall workshop covers a number of techniques to teach your dog to come when called - even while distracted. You'll be advised on which recall techniques work best for the breed and temperament of your dog. If willing to commit the necessary time and effort any dog can be taught a reliable recall, regardless of breed or age but the earlier you begin recall training, the sooner you will have success with your dog. Date & Time: Sunday, date tbc! This is a comprehensive step-by-step workshop on teaching your dog to retrieve. If you are a student of marker training or interested in marker training you will certainly enjoy our approach to this work. In our opinion, there is no better training system on teaching a dog to retrieve than what we detail in this workshop. This retrieval system can be used for obedience, IPO/Schutzhund and field trial enthusiasts. Date & Time: date tbc! Tracking tests not only the dogs scenting ability, but also its mental soundness and physical endurance. In the tracking phase, a track layer walks across a field, dropping several small articles along the way. After a period of time, the dog is directed to follow the track while being followed by the handler on a long line. When the dog finds each article he indicates it, usually by lying down with the article between his front paws. The dog is scored on how intently and carefully he follows the track and indicates the articles. The length, complexity, number of articles, and age of the track varies for each title. This workshop will cover the basics and development to tracking including aging and article techniques. If you already have some tracking experience and wish to refresh or progress your knowledge you may also find this workshop suitable. It will last approximately 1.5 hours. Please make sure your dog is hungry and bring plenty of high value very small treat pieces. 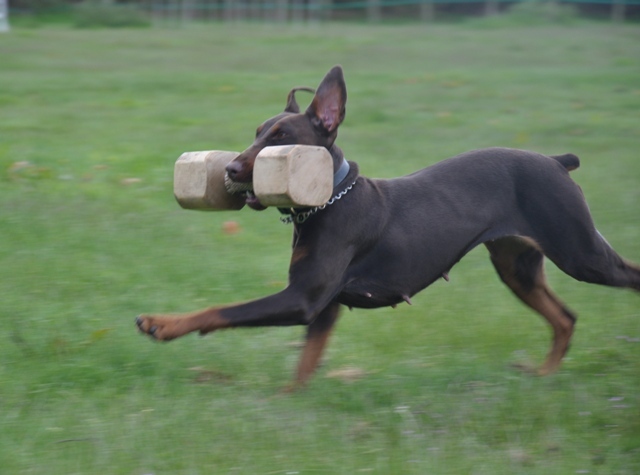 Schutzhund (now known as IPO) started at the beginning of this century as a test for working dogs. IPO tests three specific areas of a dog's training and behavior; Tracking, Obedience (inc. Agility) and Protection. The latter being the most misunderstood! The IPO dog is capable of the feats of never being aggressive except under those specific situations it is trained to face, and even then it must always be under the absolute control of the handler.